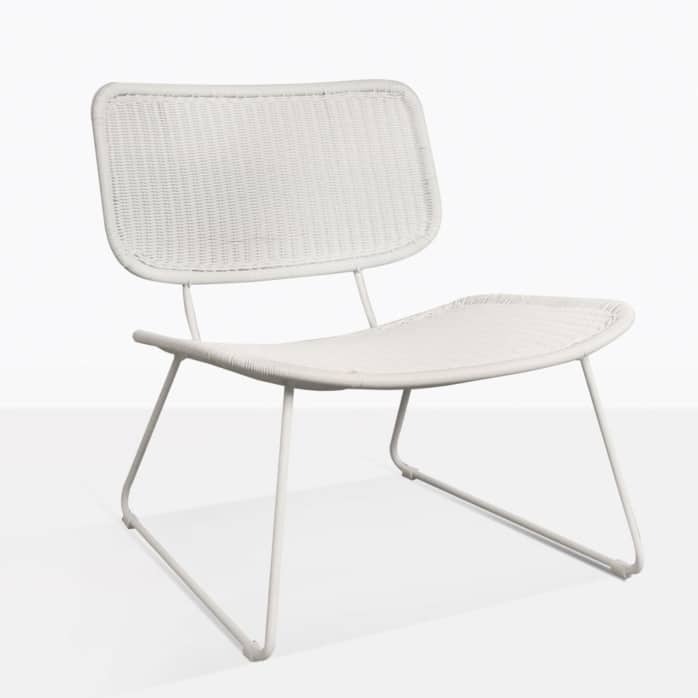 Polished and refined design is met in luxurious comfort with the divine Polly Outdoor Wicker Relaxing Chair in dashing white. Our Polly Relaxing Chair is the ultimate correlation between modern minimalism and simple style, featuring gorgeous, urban materials and resplendent comfort. The Polly Chair has a powder coated steel frame that is lovingly wrapped with tightly woven sections of UV treated wicker, all in a package that tips a hat to mid century style while in keeping with the minimalistic urban designs coming out of Sweden. 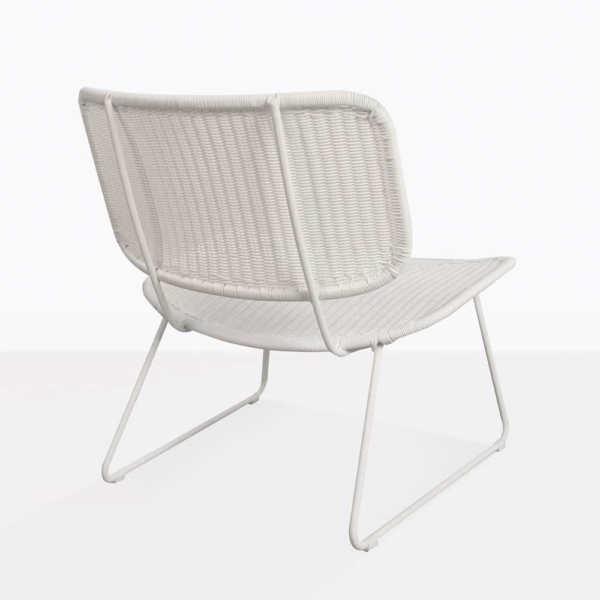 In short, the Polly Wicker Relaxing Chair is one of great style, comfort and versatility, fitting into many spaces with ease. Place two Polly Relaxing Chairs on a balcony with a modest side table in between. The look is simple and fresh, the comfort 2nd to none, and the quality exception. Imagine your outdoor courtyard, complete with dining set, and deep seating to fall into after a long lunch or divine dinner. Instead of the classic club chair, why not try a couple of Polly White Wicker Relaxing Chairs in situ, and uplift your look with a fresh, modern vibe. These fabulous chairs look great indoors as well as out for a simple, sleek look you will adore. The Polly Chairs are made from robust powder coated white steel, which avoids erosion outdoors, while the wicker is a polypropylene, through dyed variety that won’t morph or discolour outdoors. With the Polly Relaxing Chair, you are not only getting a fabulous design but exceptional quality. The Polly Range includes a black relaxing chair, as well as dining and side chairs so you can put together the perfect look for your outdoor area. Call Design Warehouse today, and allow us to help you discover infinite possibilities with our amazing range of outdoor furniture. 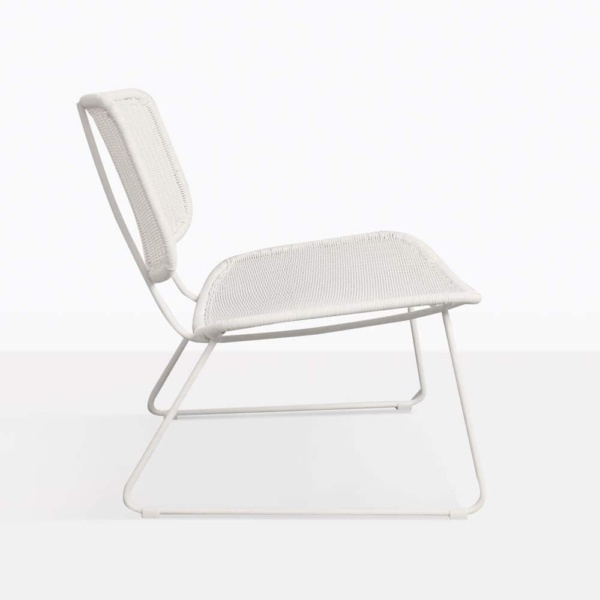 Order your Polly Relaxing Chair in white today and experience the luxury.